At Outskirts Press, Inc., we take great pride in celebrating the work of our successful self-publishing authors, and we do so each week through our Self-Publishing Author Spotlight. This week we highlight self-publishing author Martha Gabour Manuel, who has published three successful titles with Outskirts Press. Learn more about Martha, her political background along with her life experiences and how they translate into her successful published works through this week’s Self-Publishing Author Spotlight. 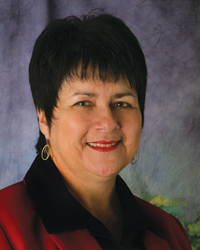 Martha retired from state civil service in 2007 to run for state senator. While unsuccessful in her bid for office, the experience offered her an opportunity to view the electoral process firsthand. Martha’s eminence as a registered representative with a major Wall Street investment firm; director of the EBR Parish Health Unit; and executive director of the Governor’s Office of Elderly Affairs only highlight a few of the varied and coveted positions she has held, adding an unusual degree of credibility to her stories. A Louisiana native, residing in Ventress, 32 miles from the state’s capitol of Baton Rouge, Martha’s strong ties to Louisiana are what inspire her writings. Martha invites readers to experience Louisiana’s beauty, mystery, dubious politics, and enduring characters, through the eyes of her characters. A shooting at the Louisiana State Capitol sends shockwaves through Baton Rouge…and leaves Senator Devereaux’s stepson, Dylan, in critical condition. Not since Governor Huey P. Long has there been a shooting at the capitol, and the already politically charged city is on high alert. Is there a sinister plot designed to manipulate and take control of the state of Louisiana? And what is in the mysterious missing envelope that triggered the shooting? When speculation meets actual fact, it’s hard to know who to trust or what to believe. In this fast-paced political thriller, even the ghost of the late Huey Long is rumored to be roaming the halls of his beloved state capitol at night, searching for answers.